These are just a few brands available at either store on a regular basis. With tradition pipes becoming harder and harder to find, you will have no problem finding the perfect pipe here. We carry over 100 pipes at each store from name brands like Petersons and others listed above, to quality entry level pipes for the smoker just starting out. We try to stock unique shapes and sizes to fit everyone’s taste, we even carry Missouri Meerschaum Corn Cob, Churchwarden, and Servi Meerschaum pipes. 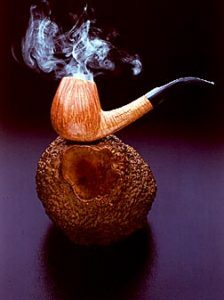 For a current list of our pipe tobaccos follow this link HERE. 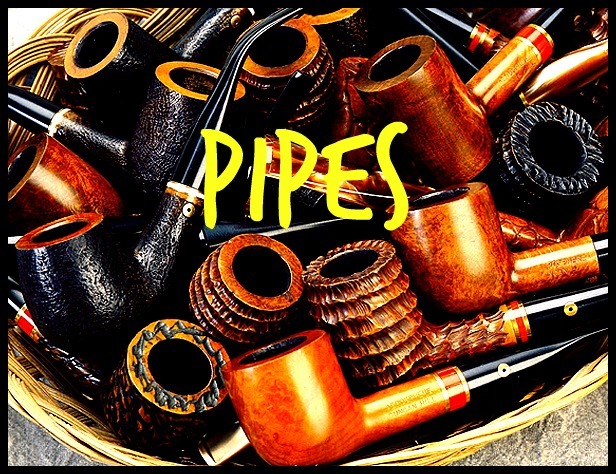 Look no further for all of the accessories related to pipe smoking. Pipe cleaners, tamps, leather tobacco pouches, pipe stands/furniture, and pipe lighters are just a few of the many accessories in stock daily.